I am convinced that leopard print is never going away. Season after season we see new looks and inspiration with leopard print. Whether it's in clothing, shoes or accessories like jewelry or hand bags, leopard print is here to stay. 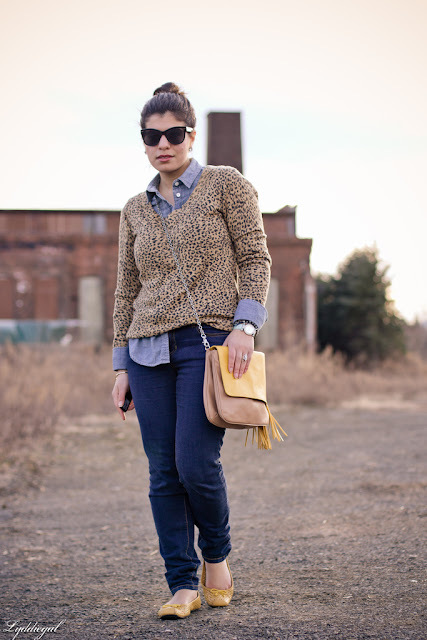 I especially love how you see leopard print all year long, every season I see new ways to wear it. Its no longer considered a tacky print that only Peggy Bundy would wear. Just don't do leopard print head to toe.....that's all I ask! DIY Fatshion: The red top pops, which doesn't makes the leopard skirt stand out, making it look subtle. Wendy's Lookbook: OK this print is more cheetah than leopard but I love how she mixed it with the stripes. Do you love leopard print or are you so over it? Leopard is still in, never over, my sist love it soooo much!